The Mercedes-Benz GLS will get lighter and more luxurious when the next-generation large SUV goes on sale in 2019. 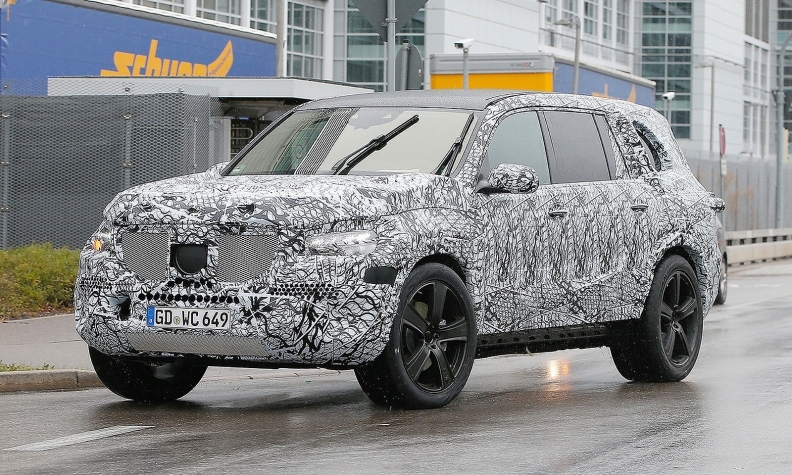 As seen in recent spy shots, the redesigned GLS will move to the company's Modular High Architecture for crossovers and SUVs. The platform change will mean big upgrades for the GLS. In addition to significant weight savings, the GLS is expected to get sleeker styling, new engines and the latest autonomous driving features. The aim is to finally make the GLS the SUV equivalent of the S-class sedan in terms of luxury and technology. The GLS's engine power and fuel efficiency should increase. The GLS is likely to get the same lineup of turbocharged six- and eight-cylinder engines being added to S-class models this year. That includes Mercedes' new 48-volt M256 inline six-cylinder with a 48-volt electric system being launched in S-class models this year in some markets outside the U.S. The platform change may lead to another major development for the GLS family. Mercedes has contemplated making a large ultraluxury SUV carrying the Mercedes-Maybach name. But the platform underpinning the current GLS has been deemed inadequate for such a vehicle. The switch to the MHA platform means the GLS could become the base for a Maybach variant at the end of this decade or early next decade.